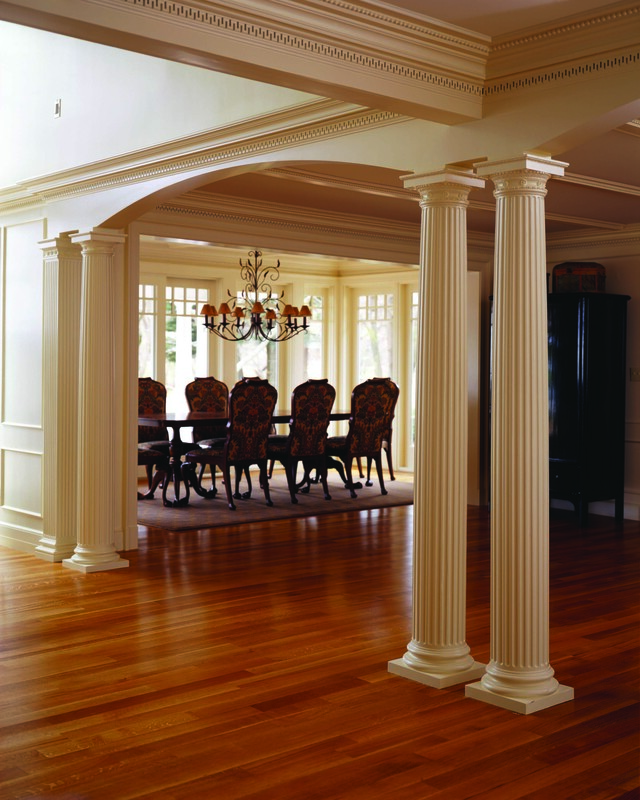 COLUMN DESIGN: Architectural Wood. 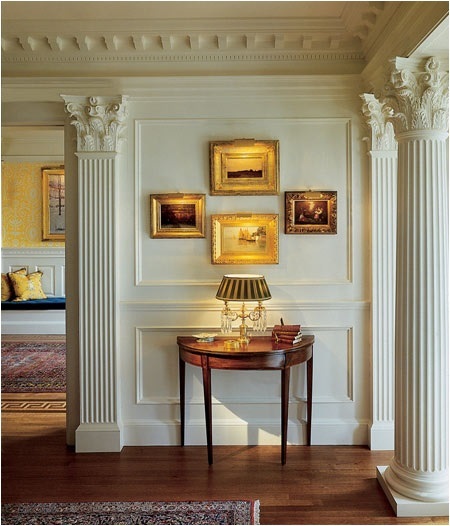 Roman Doric capitals and Ionic (Attic) base moldings / plinths. 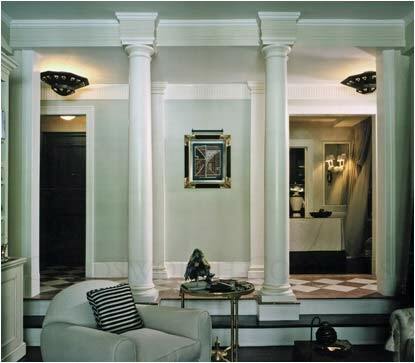 PROJECT COMMENTS: This project features (2) of Chadsworth’s custom wood columns positioned in the foyer, which looks into the living room. 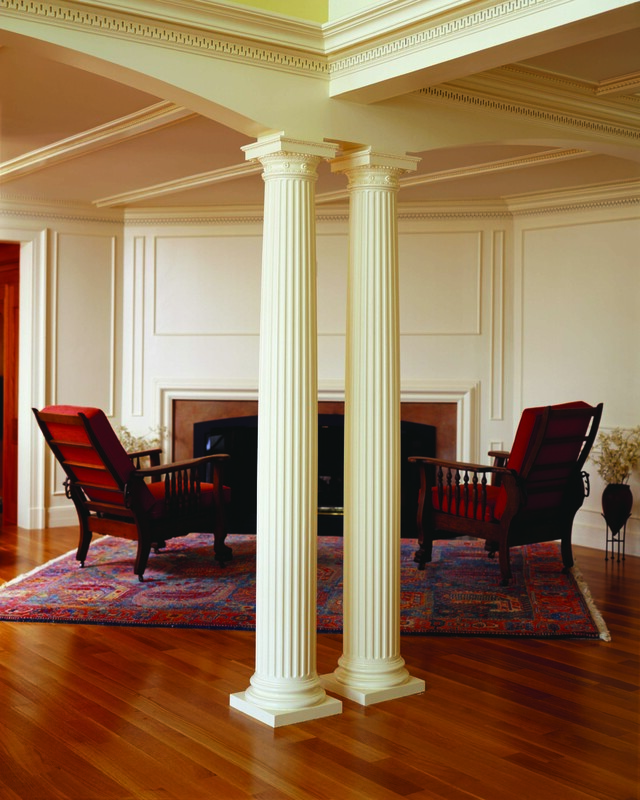 The columns are plain, tapered, round columns with a Roman Doric capital. 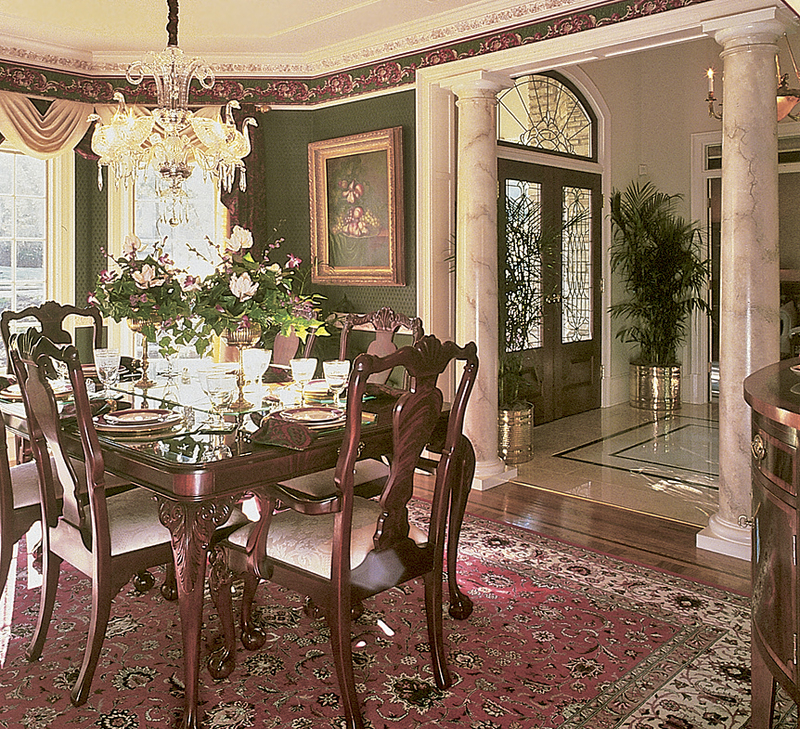 The columns were made to the customer’s exact overall height.